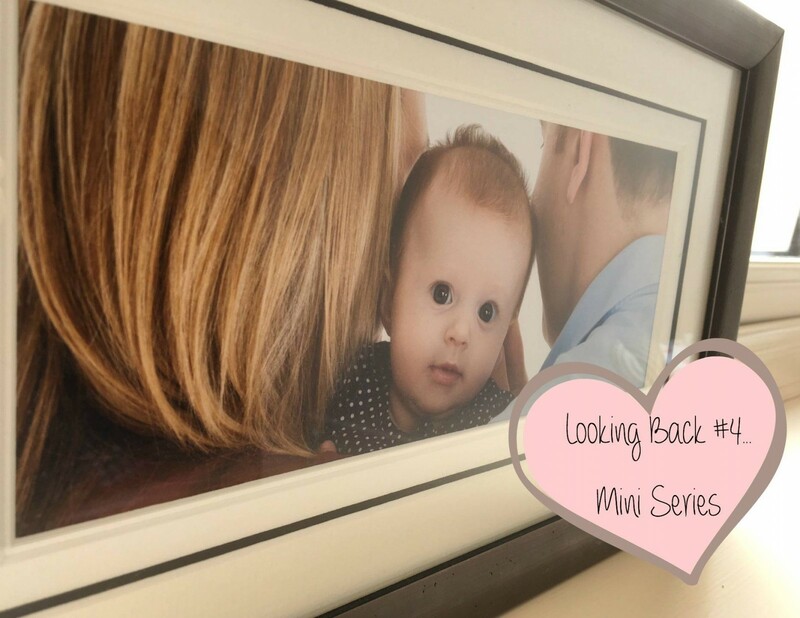 If you have missed any of my Looking Back mini series, you can find them all here. Alice was less than three months old when I first had the wonderful experience of looking after a poorly baby, when I also poorly. We had been given a lovely present from our friends when Alice was born, which was to have a family photoshoot session. 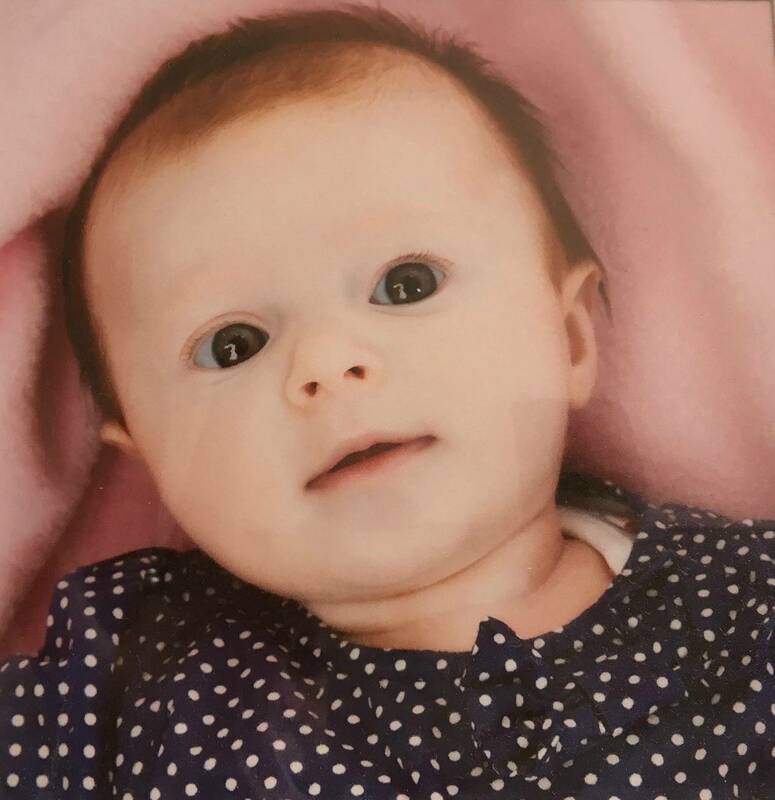 Once I came out of the newborn baby bubble, I booked it in and I couldn’t wait for us to have some photo’s taken of Alice and also of the three of us. I spent ages deciding what outfits to take for Alice to wear, oh my goodness baby clothes are just too cute, plus a few spares in case of accidents. Then the big problem, what do I wear, what fits me? what can I breastfeed in? Will I clash with Alice’s outfits? All these factors I had to consider. The morning of the photoshoot arrived and I didn’t feel to great, I could tell I was coming down with something. But, I put it to the back of my mind and focussed on us having a lovely photoshoot. It went like a dream, Alice had a good feed before we left, a nap on the way over, then a quick top up feed and we were ready to go. Alice was really good throughout the shoot and we got some lovely photos of her and the three of us. We left the photoshoot feeling pleased with how it had gone, but on the drive home I started to feel really poorly and by the time we got home all I wanted to do was go to bed. Luckily it was a Sunday and I could relax a little bit with Andy home, but I still needed to feed Alice and couldn’t just hide under the duvet. By the time morning came round I was exhausted, not only from being up in the night, but also because I felt really poorly. Andy felt really bad leaving for work and that was when it hit me, that I couldn’t phone in sick, I had to be mummy still. That was a long tough day, because Alice wasn’t feeling well either, she wasn’t napping to well and generally didn’t know what to do with herself. Trying to find the energy to take care of a newborn baby when I was felt really poorly, was not easy. There was some light at the end of a dark tunnel, it was our wedding anniversary the next day and Andy had booked the day off. We had planned to take Alice to Bath for the day, a place that had a special place in our family. The day after we got married, we went to Bath for a ‘mini moon’. As our honeymoon wasn’t until seven weeks after our wedding, we wanted to have a couple of days away together. We thought it would be lovely to spend the day their together as a new family of three, sadly that would have to wait, we were just to poorly to want a day out. But, at least Andy was home to help out and I have never been more grateful to have him home. He could take care of Alice, apart of the feeds, and I could try and get myself better. I had 24 hours until I was back on my own again and I was praying I could kick this illness. Since that first time of being poorly as a mummy, I have experienced it far too many times and it never gets any easier. Sometimes if it was just me poorly and not Alice, my mum would help out and take Alice for me, so I could get some sleep. But, most of the time we have been poorly together, I tend to catch it from her and then we are in it together. Then Holly came along and the fun just got better when all three of us have been poorly at the same time. Thankfully Alice doesn’t get sick that often, but Holly seems to catch everything that is going around. So, it will be Holly and I that are poorly and Alice is full of beans…those are fun days with a preschooler bouncing off the walls, Holly wanting mummy cuddles and me wanting my bed to sleep! Next week on my Looking Back Series is Alice’s first Christmas. Oh my goodness that photo is absolutely lovely! I do love children’s clothes too, especially for little girls, aren’t they just the cutest? When my daughter was your baby’s age, I used to take ages too planning her outfits, but not for myself. I miss those days. I was poorly a couple of weeks ago and I remember thinking at the time, ‘this is going to be so much harder once the baby’s here!’ (I’m 30 weeks pregnant) but I suppose you just have to grit your teeth and get through it. As you said, there definitely aren’t any days off from being a mum! Lovely post, glad the photo shoot went well for you before ye all got too sick. the first time I got sick after my little mans arrival I moved into the spare room for a few days and just remember DH bringing baby into me for feeds, the rest was all a blur. Great post! Looking back is definitely a part of growing! Yes, it is never fun when that happens. Last week in fact I had my first illness where I couldn’t actually do it & partner did have to stay home for a day. I had a severe sickness bug & was throwing up every 5-10 minutes. The littlest one had the same. 2 yr old was okay but she still obviously needed to be cared for & made food, etc. With the amount of time I was spending being sick, and the amount of help the little one needed for the same thing, he did have to stay & help out. But we avoid that whenever possible, as lose too much pay, and it’s never fun trying to look after the little ones while ill.
Oh no that sounds horrible, you poor thing! I am so with you on this one. I so wish we could! Just speeds up the recovery process, I think. So pleased to see the back of winter!